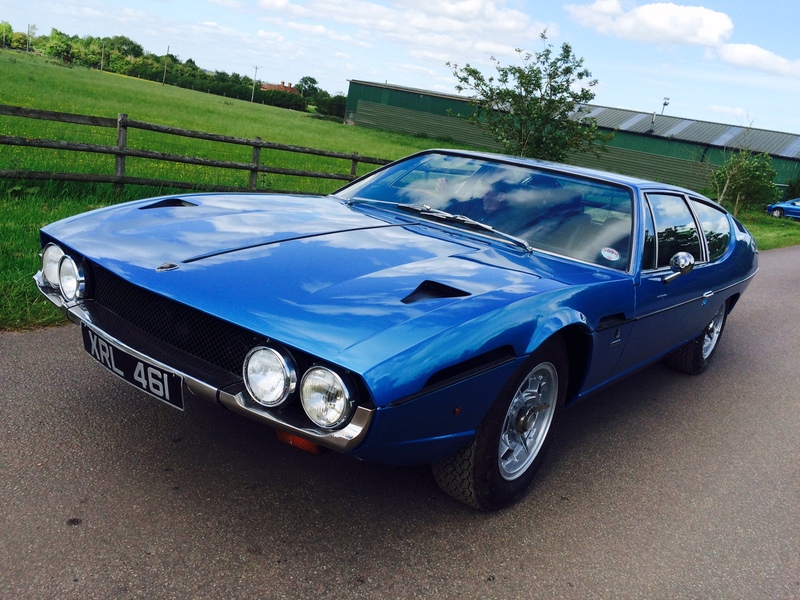 Generally speaking in this area of the website I usually only post full resprays or restoration work but I cannot miss the opportunity to put this smaller job on the site, well can you blame me it is a classic Lamborghini and another great example of a genuine european muscle cars that should be remembered along side the interceptor and Aston Martin DBS v8. The old Lamborghini door skin was full of filler and the bottom inch was completely rotten all the way along the panel so it needed to be replaced. The process of making the steel door skin was fairly straight forward thanks to the simplicity of the Bertone Wedge body lines however removing the old one was not such a simple job. The door had many repairs through its lifetime using brazing, welding and a lot of lead work to repair the edge against the frame work. Removing this with minimal damage to the frame work was a considerably long process. 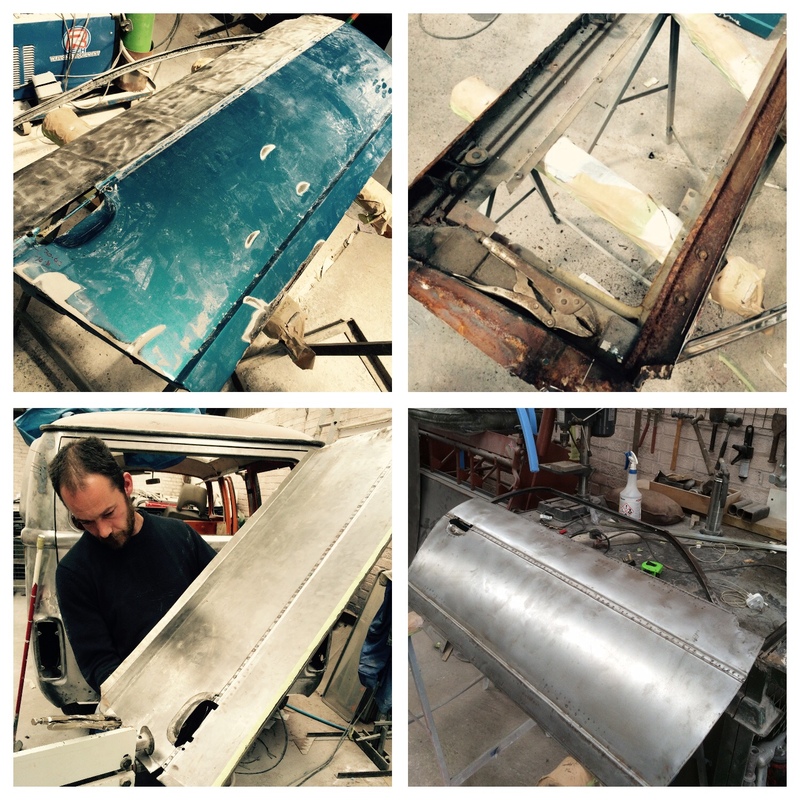 Once the old skin was removed the frame work was in pretty poor shape and had thick lead covering holes. The lead was removed and replaced with metal and then the frame was aligned to the car. As many of the old Italian supercars have no door alignment adjustment the frame and door had to be frequently offered up to the car to check the fit throughout the process. 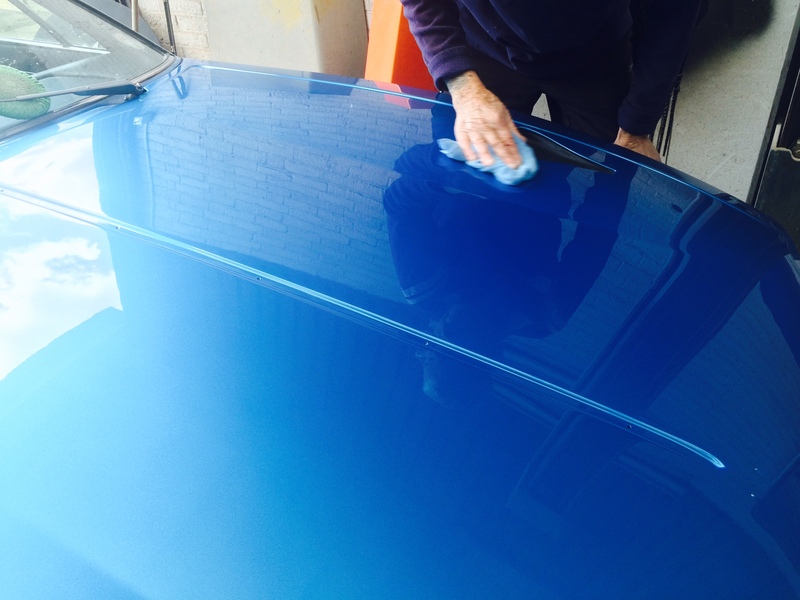 Painting the Lamborghini bonnet and with small dent removal. 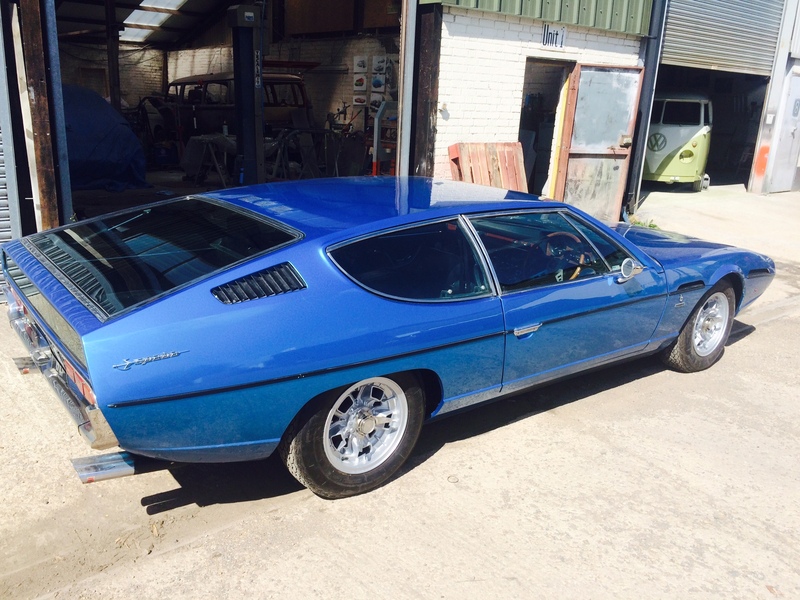 There was also a small amount dents and deep scratches in other areas that we dealt with whilst the Espada was with us. Lower pictures shows the final door gaps. Remember there is no door hinge adjustment available. 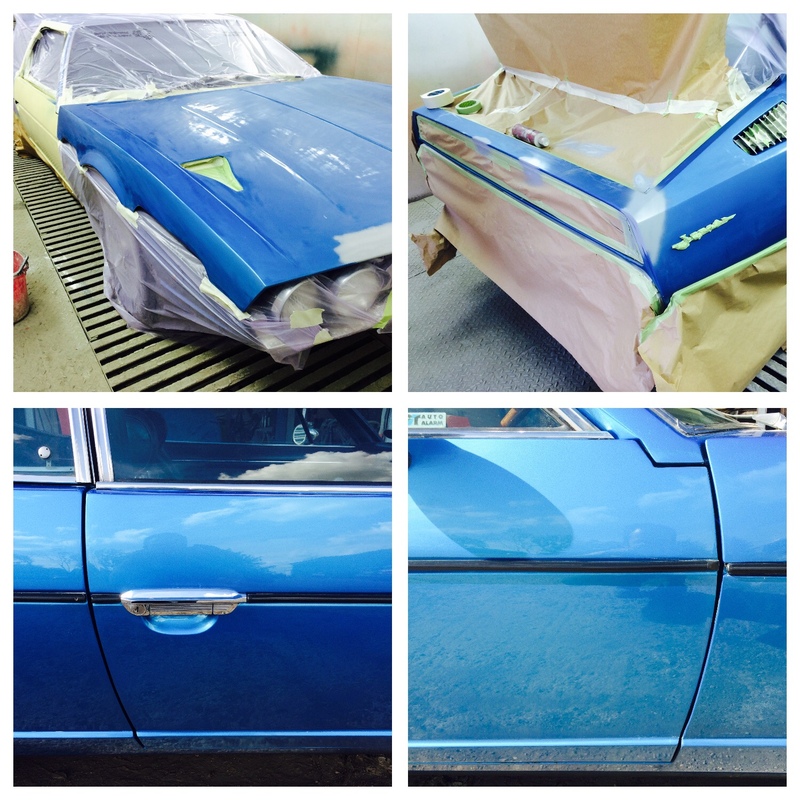 This entry was posted in Paint jobs and tagged Lamborghini body repair, Lamborghini bodyshop, Lamborghini repsray, Lamborghini restoration by The Paint Shop Pros. Bookmark the permalink.